Formerly a development executive at Paramount and Universal, I then launched and operated Stephanie Rogers & Associates, a literary agency, representing writers, directors and producers for twenty years. In 2000, the agency was re-structured to a management and film consulting firm which is still doing business to this day. Additionally, I produced a Christmas comedy, BATTLE OF THE BULBS, for the Hallmark Movie Channel which aired multiple times in December 2010 and 2011 and in Europe on the BBC in December 2012. Early in my career, I was a development executive at Paramount and part of a team that developed and sold to the networks the TV series; HAPPY DAYS, LONGSTREET and FUNNY FACE. 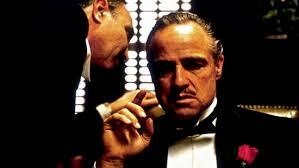 Also at Paramount, I worked on the productions of such theatrical films as GOODBYE COLUMBUS, PAINT YOUR WAGON and ON A CLEAR DAY; and, I assisted Peter Bart, VP Feature Film Development, where my first assignment was to read the galleys and validate the feature film merits of Mario Puzo’s novel, THE GODFATHER. 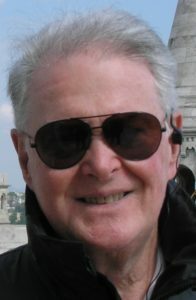 Following my years at Paramount, I became a program executive at Universal TV, where I supervised script development and sold programming to the networks including THE MARCUS NELSON MURDERS (3-hour movie pilot for KOJAK), APPLAUSE (musical special), KOJAK (series), SONS AND DAUGHTERS (series) as well as a number of other movies, series, pilot films and a game show. 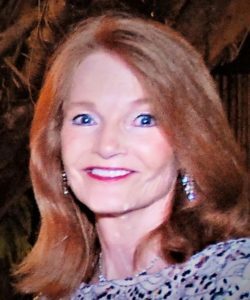 I then launched Stephanie Rogers & Associates, a WGA and DGA franchised agency, where I represented writers, directors and producers. Over a number of years, many of my clients were nominated for and received numerous awards including Oscars, Emmys, Writers Guild, Image, the Humanitas, Western Spur and Tony Awards. A partial list of feature films that I have sold as agent and manager include BLIND TERROR, LAST RUN, SHOOT TO KILL, STEEL DAWN , THE EARTHLING and GET MARRIED OR DIE. And, my clients have been involved in such diverse film projects as SPIDERMAN, THE LAST LEGION, A SIMPLE PLAN, BOOGEYMAN, TURNER AND HOOCH, GROSS ANATOMY, TOTAL RECALL, FERN GULLY: THE LAST RAINFOREST, TARGET, COMING TO AMERICA, CHILDREN OF A LESSER GOD, BATTLESTAR GALACTICA, DAM 999 and BOULEVARD starring Robin Williams. Straight-to-Video projects my clients have been involved in include: DRAGONHEART II and TEXAS REIN. Many TV projects in which my clients have been involved include: miniseries – THE SHINING, EARTHSTAR VOYAGER, THE WINDS OF WAR, THE RAOUL WALLENBERG STORY, THE JESSE OWENS STORY, THE LAST DAYS OF POMPEII and THE KNOT’S LANDING REUNION; TV movies – HATS OFF TO CHRISTMAS, PROFILE FOR MURDER, LOOK AGAIN, HERCULES, the XENA pilot film, MIRACLE IN LANE TWO, TILL DAD DO US PART, LIFELINE, THE HIRED HEART, THE HAUNTING OF LISA, EVERYTHING THAT RISES and others; TV series – STAR TREK, MURDER SHE WROTE, JAG, BABYLON 5, DR. QUINN MEDICINE WOMAN, DALLAS, FALCON CREST, MACGYVER, COLUMBO, HUNTER, ZORRO, CHEERS, CAGNEY & LACEY, SIMON & SIMON, QUINCY, LITTLE HOUSE ON THE PRAIRIE, ST. ELSEWHERE, SATURDAY NIGHT LIVE, AEON FLUX, THE LITTLE MERMAID, SABRINA THE TEENAGE WITCH and many, many more. I graduated with a B.A. Degree in English Literature and a teaching credential from Montclair University and taught high school English and Algebra. Subsequently, I furthered my education at UCLA where I received additional academic credits in film and creative writing. I have frequently lectured on screenwriting, the marketing of scripts and the business end of writing for the film and television industry at USC Film School, UCLA, Cal State Northridge, Moorpark College, Ventura County Writers’ Association and UNLV. In his career, Phil Rogers has been a film producer, major studio television executive, officer and director of a public company and a literary and talent agent. His industry experience encompasses development, packaging and producing theatrical and television films and television programs as well as executive duties in administration, talent management and business affairs. Rogers developed and produced BLIND TERROR, an independently financed cable TV movie. 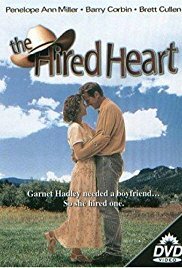 Two other original feature-length cable movies telecast by the Lifetime cable network were also developed and produced by Rogers: THE HIRED HEART, a romantic comedy; and THE HAUNTING OF LISA, a psychic thriller; both films were produced under Rogers’ PhiliPiCo Pictures Company banner. 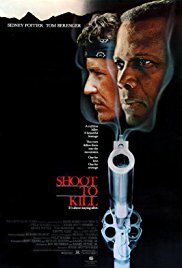 Previously, as Co-Founder, Director and President of Century Park Pictures Corporation, a public company, Rogers developed and executive produced SHOOT TO KILL. This Century Park Pictures’ theatrical film was produced and distributed world-wide under the aegis of Disney’s Touchstone Pictures. In the past, Rogers was a principal in Barry & Enright/Rogers Productions, a production company that developed numerous television programs and several theatrical films. Brandon & Rogers Associates and Rogers & Associates were two literary/talent agencies that Rogers previously co-owned. As an agent representing writers, directors, producers and actors, he packaged films and television programs. Rogers continues to serve as a consultant to Stephanie Rogers & Associates, a management and film consulting firm he co-founded with his wife, Stephanie. Earlier, Rogers was a Vice President of Universal Television where he was involved in talent packaging, deal making and administration for countless network television movies, pilots, series and specials. His tenure was at the height of that powerhouse studio’s most prolific period of production when it was the number one supplier of prime-time programming to the then three major networks. Rogers began his career as a casting director with Screen Gems Inc., the television division of Columbia Pictures, where he later became executive assistant to the head of the studio and subsequently a television series producer. After he graduated from California State University at Los Angeles with a Bachelor Degree in Dramatic Arts, Rogers served for two years in the Special Services-Entertainment Division of the United States Army. Rogers has been a long-time member of the Academy of Television Arts and Sciences and the Hollywood Radio and Television Society. CLICK on “Sample Analysis” to read the kind of extensive notes and suggestions you will receive on your material.